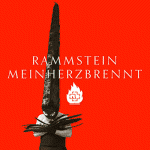 “Mein Herz brennt” (German for “My heart burns”) is a single by German industrial metal band Rammstein. The song first appeared as the opening song to the band’s third album Mutter in 2001, and was used as the opening track for concerts during that era. 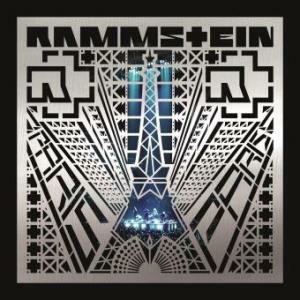 In 2011 it appeared on the band’s first greatest hits compilation titled Made in Germany 1995-2011, being the only song on the album that at the time of release had not been released as a single or had a music video. It was announced on November 22, 2012 that the song would be released as a single to promote the upcoming video collection Videos 1995-2012. A piano version of the song was released as a single on 7 December 2012. The song’s lyrics involve a narrator describing the terrors of nightmares. The opening line of the song’s intro and chorus (‘”Nun, liebe Kinder, gebt fein Acht. Ich habe euch etwas mitgebracht” ‘Now, dear children, pay attention. I have brought something for you’) is taken from the 1950’s German children’s TV show Das Sandmännchen (The Little Sandman). Every night the show would come on and Das Sandmännchen would tell bedtime stories. This may entail the song’s narrator being a darker version of the title character.